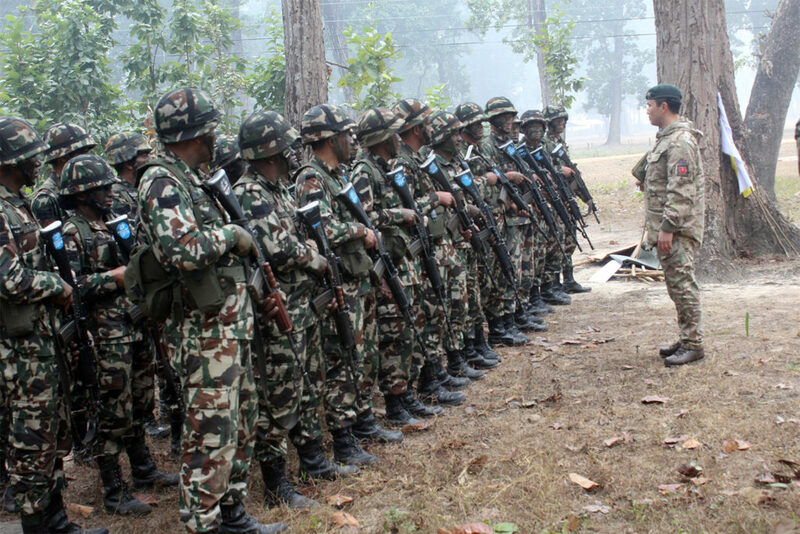 A team of training Staff from the Infantry Battle School based at Brecon recently went to Nepal to deliver and monitor training of the Nepalese Army as part of a Short term Training Team. Short Term Training Teams are direct support of the Army’s core purposes of ‘contingent capability for deterrence and defence’ and ‘overseas engagement and capacity building’. 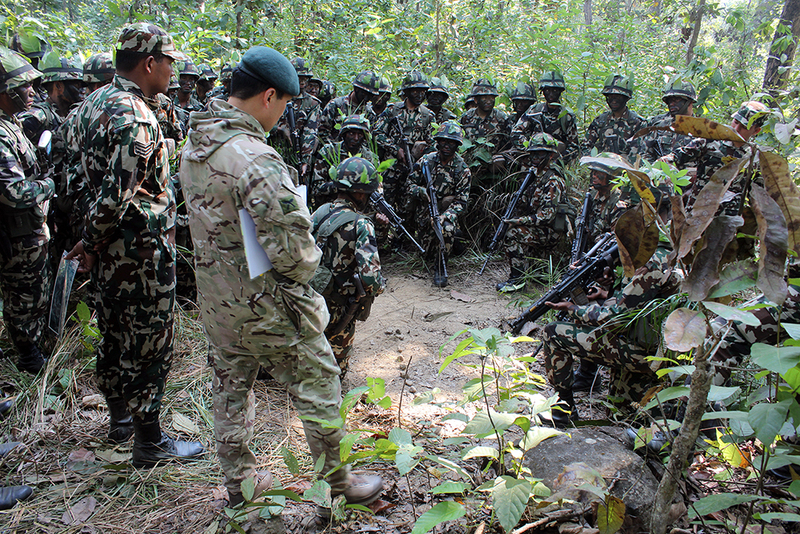 Colour Sergeant Rabi Gurung of 1 Royal Gurkha Rifles was part of the team and can be seen in these images as be briefs a Platoon from the Nepalese Army about the Battle procedure and preparations prior to Orders.